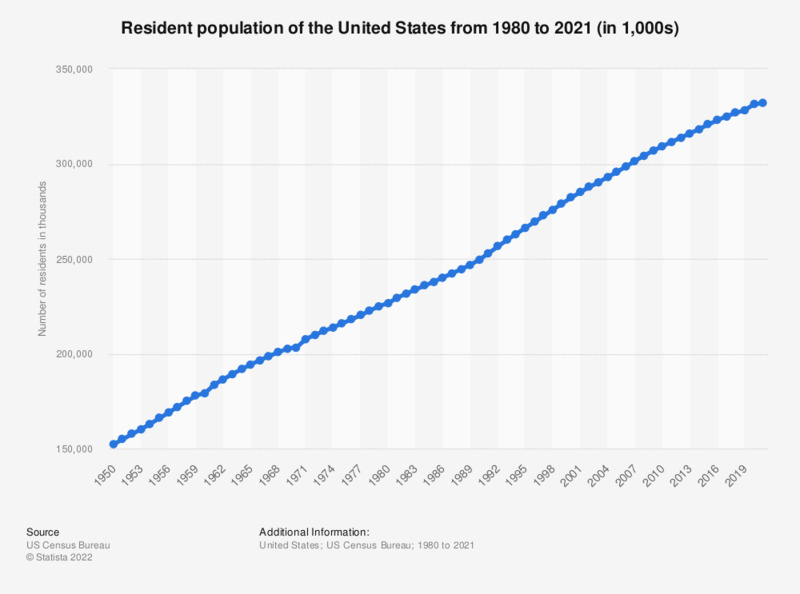 This graph shows the resident population of the United States of America. In 2018, the United States had around 327.172 million inhabitants. See figures for the total population by continent here. Resident population includes armed forces overseas.